Our first ever Slasher Studios feature film. 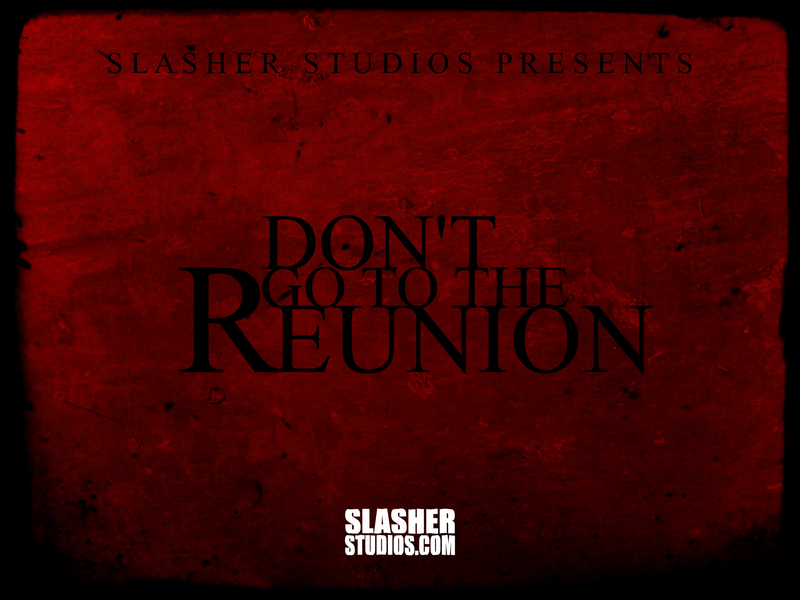 “Don’t Go to the Reunion” is an homage to some of our favorite revenge slashers of the 1980’s. Do you love “Slaughter High”, “Terror Train”, “Happy Birthday to Me”, and “Prom Night”? Good, because we do too and we plan to play homage to all of them. Our story centers around a horror-loving misfit named Scott who is teased and tormented by the popular students in school. When the popular kids play a prank on him, he feels as though his life is ruined. Ten years later, the gang is back for the class reunion. Little do they know that someone is waiting for them. Is Scott back for revenge? Will they survive the night to find out? 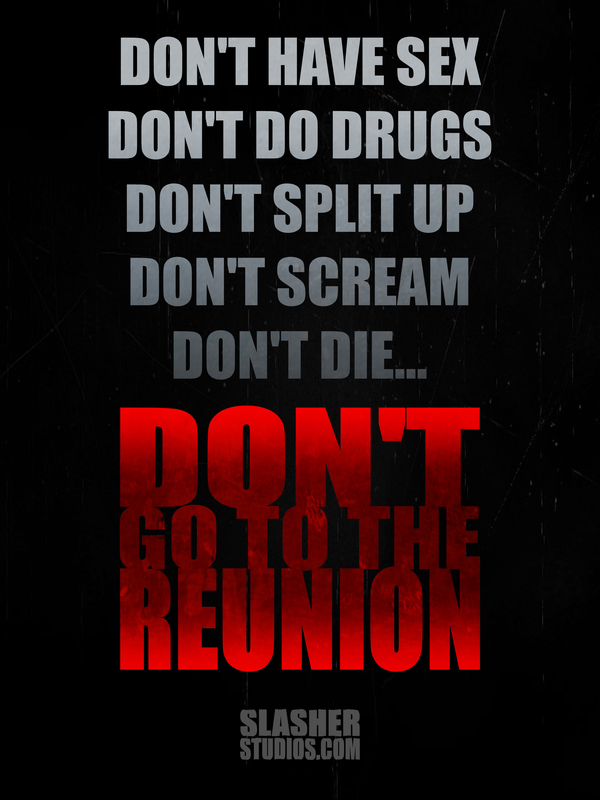 The “Don’t Go to the Reunion” final draft is now complete. We start pre-production soon with an October 2013 release date. Interested in ordering one of our teaser posters? They are for sale for only $10 each or $18 for both in glossy 8 x 10 prints with free shipping. Make sure to make your option below if you want poster #1 or poster #2.